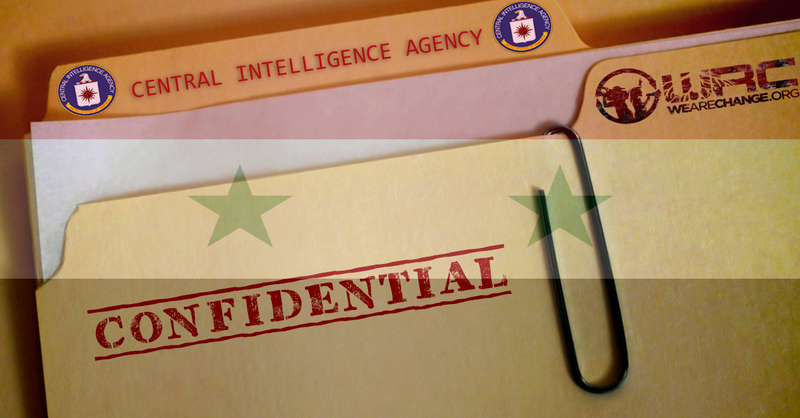 A recent release of documents in the CIA’s cache — codenamed Crest — totalling up to 13 million documents reveal the CIA’s plans to oust the Syrian President, Hafez al-Assad. The documents date back to the years through 1984-1986 and purport to reveal plans to strengthen resistance against the former President Assad within Syria. The document also accused Assad of being in, “poor health,” due to a heart attack he suffered in 1983 and said that Assad had failed to designate a successor or provide for a transfer of power. The former President of Syria lived for nearly another 15 years before he passed his leadership on to his son Basher al-Assad. The CIA goes on to speculate if Hafez al-Assad selects his brother Rif`at al-Assad as his successor, his enemies within the military would rise up against him to overthrow his presidency. The document also contains numerous hypotheticals, mostly surrounding what Moscow’s response would be if the government of Syria collapsed. At that point in history, there was an ongoing civil war in Lebanon between Maronite and Palestinian forces — both Israel and Syria backed factions in the region. Further, the documents expressed that U.S. interest would best be served by a Sunni regime. Another six paged document titled: “Bringing Real Muscle to Bear Against Syria,” authored by famous former CIA officer Graham Fuller also discusses Syria under Bashar al-Assad’s predecessor dated September 14, 1983, amid the Iran-Iraq War. “Fuller’s analysis, points out Activist Post’s Brandon Turbeville, evinces Assad as a nuisance hindering the American empire’s lust to control vast fossil fuel stores and protect ally, Israel, against multiple threats in the Middle East. Destabilization of Iraq and Iran also features prominently in the intricate U.S. plan to deal with the irritant, elder Assad — who, incidentally, recognized Western ulterior motives for what they were,” Claire Bernish wrote, for TheFreeThoughtProject.com. Fuller goes on to discuss two key U.S. interests in the region, the Syrian-Iraqi pipeline and geopolitical affairs regarding Syrian troops in Lebanon and its result on Israel. — Syrian closure of the Iraqi pipeline has been a key factor in bringing Iraq to its knees financially, impelling it towards dangerous internationalization of the war in the Gulf. As the war drums beat in the Trump administration and media for war with Syria, these two internal once-secret documents offer rare insight into how the U.S. arrived at the situation in present day Syria. They also reveal the CIA’s ongoing effort of regime change, exposing potential tactics being used to overthrow the current younger Syrian president. NextWATCH: Black Lives Matter Release Video of Police Brutally Stomping on a Handcuffed Man’s Face.